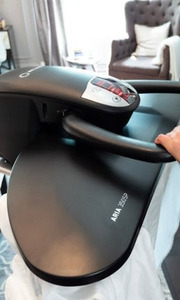 AN ALL NEW WAY TO PRESS The all-new Aria 350SP is the ideal choice for those looking for an alternative to conventional ironing. With a pressing area 9x the size of an iron, the Aria 350SP will quickly eliminate wrinkles and put a crease into the toughest fabrics. 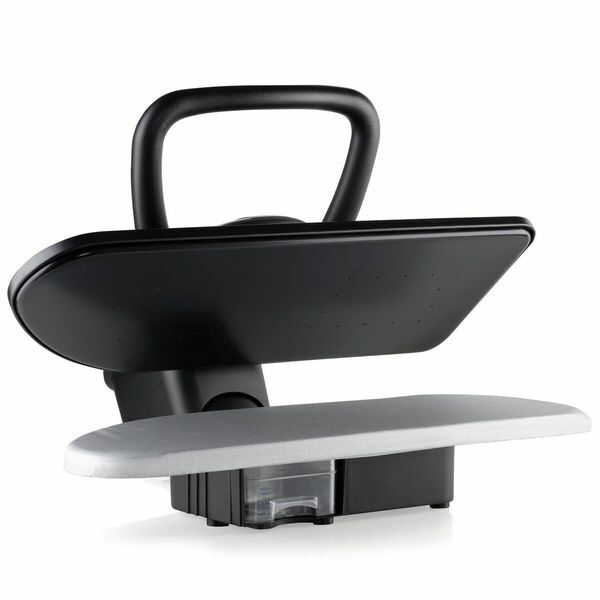 SAVE TIME IRONING With such a large pressing surface, the Aria 350SP will cut down on ironing time. It’s easy to use, just pull the handle down, and leave in the closed position for 3-4 seconds. 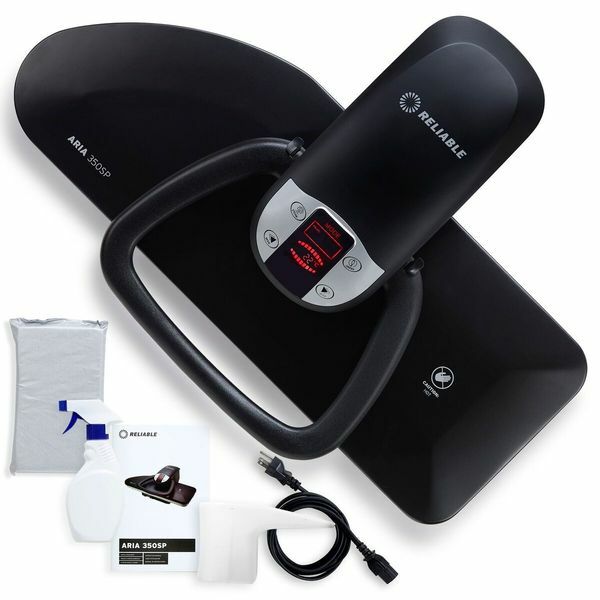 Steam disperses automatically depending on the temperature setting selected. It’s that simple. The all-new Aria 350SP is the ideal choice for those looking for an alternative to conventional ironing. With a pressing area 9x the size of an iron, the Aria 350SP will quickly eliminate wrinkles and put a crease into the toughest fabrics. The all-new 350SP uses an automatic steam function. If the steam mode is selected, the steam will automatically activate when the handle is pulled down. The 350SP has an easy to use digital LED thermostat that does a great job ensuring that the fabric temperature you set is the temperature that the fabric will see. The 350SP has a large 700ml water tank, steam lasts longer between refills. 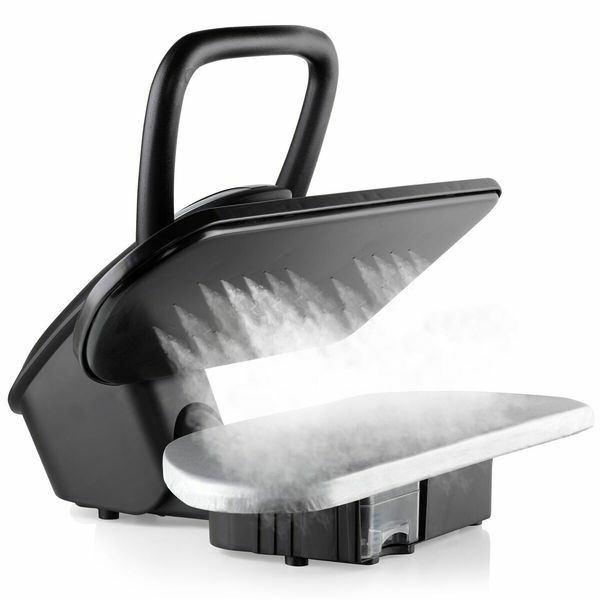 The Aria 350SP features a large non-stick soleplate for care when pressing a wide variety of fabrics. To protect your Aria press and reduce calcium built-up, we have included a replaceable anti-scale water filter in the water tank. The new easy to use opening of the Aria presses allows the operator to quickly and safely lay the fabric down. 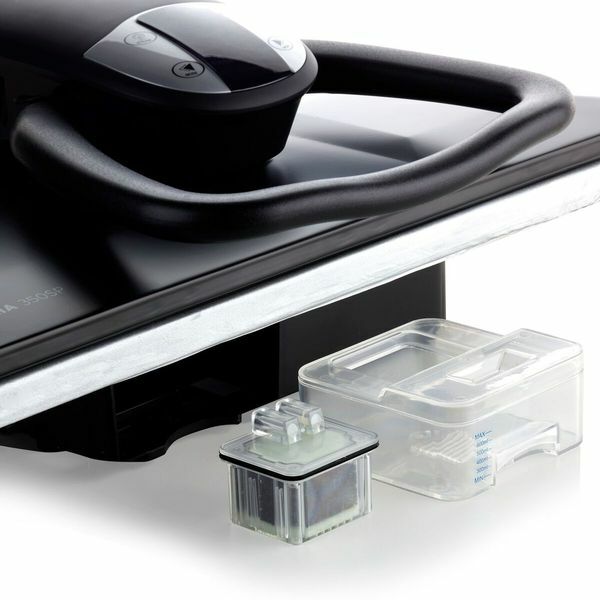 With such a large pressing surface, the Aria 350SP will cut down on ironing time. It’s easy to use, just pull the handle down, press for steam, and leave in the closed position until the buzzer sounds. It’s that simple. Pressing surface is 9x larger than a conventional iron. 32” x 11” steam head produces greater volumes of steam for maximum steam penetration in a shorter period of time. The new 350SP has an easy to grip ergonomic handle and 2 water containers. 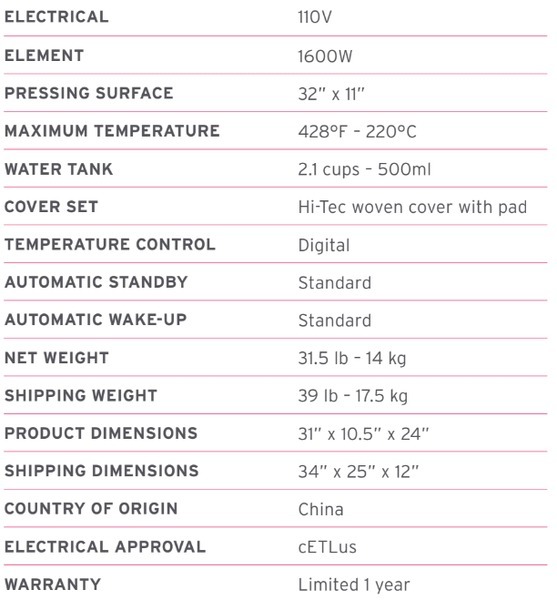 A BOLD NEW WAY TO PRESS By now, you may have had a chance to check out our latest steam press, the Aria 350SP. 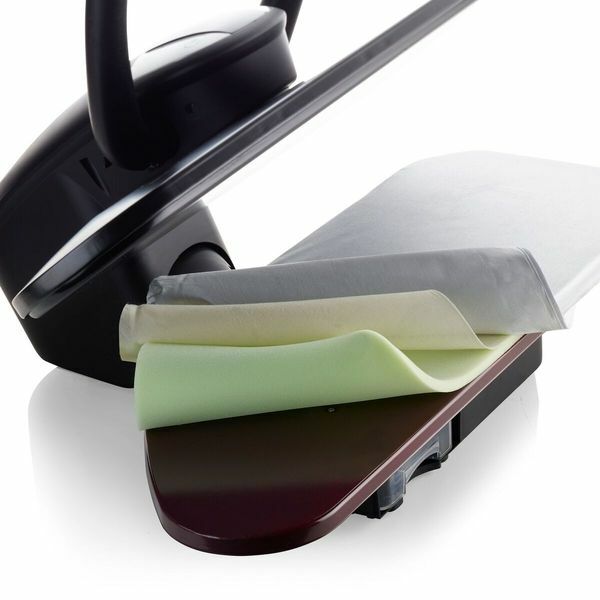 The Aria 350SP is the ideal choice for those looking for an alternative to conventional ironing. With a 32" x 11" pressing area (9x the size of an iron), the Aria 350SP will quickly eliminate wrinkles and put a crease into the toughest fabrics. Its multitude of features will help your customers get the job done.